The Metropolitan Palace Hotel is a luxury Dubai hotel located next to the main shopping and business center of the city. It is located on Al Maktoum Street, about ten minutes away from the Dubai International Airport. 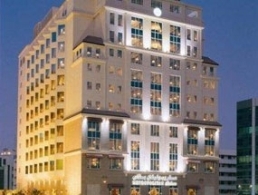 The hotel is located at Al Maktoum Street in Dubai, United Arab Emirates.